Clipping Chix: Rite Aid: L'Oreal Advanced Hair Care Shampoo or Conditioner only $1.99 with Coupon! Rite Aid: L'Oreal Advanced Hair Care Shampoo or Conditioner only $1.99 with Coupon! 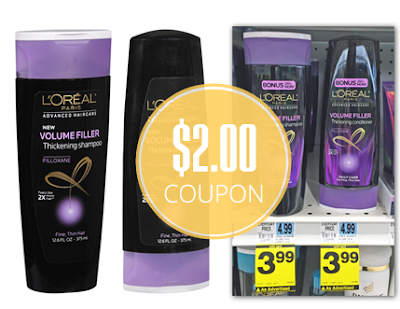 L’Oreal Advanced shampoo and conditioner are on sale for $3.99 at Rite Aid. Buy one bottle and use a new $2.00/1 Red Plum newspaper coupon. The final price is $1.99!